While actualizing an ERP framework for your business, the organizations need to choose among two choices- whether to go for an ERP purchase from a third party vendor or to manufacture and implement an in-house ERP by their own. Both in house ERP development and Outsourcing have their own advantages and disadvantages in store. Cautious thought must be taken by the general business population, in charge of such choices so as to pick the best solution suiting the current business need. Developing an In-house ERP is the procedure whereby the organization utilizes their own labourers (in-house group of techno-functional consultant and business experts) to create or actualize an IT framework that fits the explicit needs of the organization. The advantage of this procedure is that In-house ERP development takes into consideration, the production of a more altered ERP framework that can have a correct fit in the business organization. In other words, the degree of customization is wide among the In-house ERP development as the developers are in close proximity with the end users or clients. The immediate and frequent contact between the developers and users, ground a framework for an effective ERP development and effective ERP implementation, that too tailoring the vast majority of client desires. Also developing In-house ERP enables the businesses to have complete control over functionality, eventually offering top to bottom information of how the ERP framework functions and how they interface with alternate business territories. The major pitfall of In-house ERP methodology is that it necessitates the organization, a gathering of our group of software engineers and business experts to firmly work together in developing and implementing of an ERP solution that suits the business need in a most precise manner. Developing In house ERP, demands people in the group ought to be knowledgeable about creating and actualizing the ERP framework and have an exhaustive comprehension of the organization's business forms. In addition, the methodology proposes for frequent updating of the ERP software, adjusting to changing business requirements, which is quite challenging and strenuous. Pros of developing an In-house ERP for your business. a) The organization has full ownership of the ERP developed and also its source code and the information picked up while creating it. b) Fits precisely to the business prerequisites of the organization. c) There is a connection between the improvement group and the client base which helps in correspondence and desire conveyance. d) It gives the business organization the full power over the ERP framework and its usefulness. e) Enables you to separate from your rivals and stand ahead in the competition. f) Can furnish the business with a more prominent upper hand. Cons of developing an In-house ERP for your business. a) It tends to be expensive to keep up and enhance the framework to consistently address business issues. b) It requires more IT staff which eventually lead to high overhead cost. c) High switching costs while getting changed to newer technology. d) It is time-consuming to develop an in-house IT system comparing to ready-made software purchase. High improvement and support costs (In spite of the fact that it might appear to be more affordable, in-house advancement can really turn out to be progressively costly as time goes, as there are a lot of things that go into the procedure, for example, investigating necessities, gathering, programming, planning, executing, testing, client preparing and upkeep). When an organization chooses to purchase an ERP programming from a service provider or a software development company, lot amount of time is saved in terms of building software on their own. All you need to invest in this case is the time meant for training the users. Like the In-house ERP framework structured in light of adaptability and fitting precisely into the business need of the organization, a purchased ERP can also yield indistinguishable functionalities. 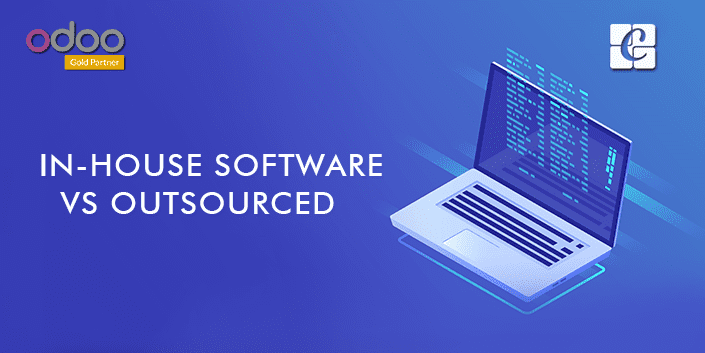 The ready-made software s are intended to be sold to different organizations meeting large diversified business needs, therefore they very well can fit the large class of business needs. When purchasing an ERP system, an organization is required to pay licensing fees for the software package as well as installation and preparing for the staff (training programs). One of the principal points or the main attraction of going for an ERP purchase is that you get a ready-made software in hand all developed and ready to install. All that your business organization need to conduct is the training or the preparation procedure for clients. One other contrast between the two options is that when you purchase an ERP framework, you are not required to do any support. The service provider or the software vendor is in charge of directing all the upkeep and updates of the ERP framework. Pros of purchasing an ERP software for your business. a) End up with getting a proven existing solution that too ready to use ERP software for business. b) Business organization are furnished with master support and training. c) The ERP vendors spend numerous hours creating testing and developing the ERP system (this outcome in fewer bugs, better utilitarian frameworks in terms of functions). d) No requirement for consistent upkeep or maintenance. e) Implementation of best industry practices and standards. Cons of purchasing ERP software for your business. a) The organization needs to depend on the seller for specialized help when issues come up. b) The software vendor holds the rights to the code. Advantages of choosing Odoo ERP instead of developing In-house ERP for business. Odoo ERP is an extremely prominent open source ERP framework which offers an assortment of business applications to address complex business issues, no matter what industry the company belong to. It is the best fit for little and medium-sized business endeavours (SMEs) however functions befitting both little and expansive organizations as well. 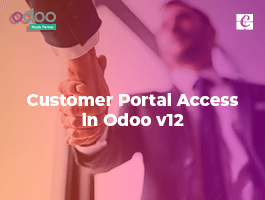 The Odoo ERP offers an extensive range of modules that perfectly pitches to the business needs. 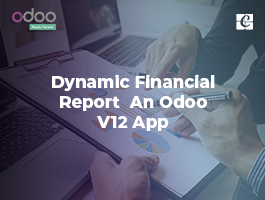 For example, Odoo showcases extensive application in inventory management, manufacturing, trading, e-commerce, billing, accounting, project management or customer relationship management. 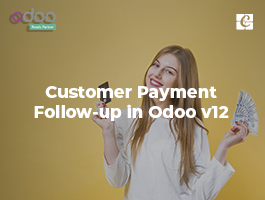 Apart from the above, Odoo ERP also provisions in creating other explicit modules with additional functions for business applications. 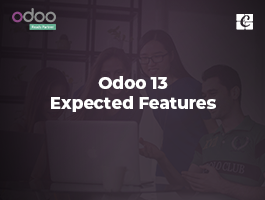 The developer community within open source ERP constantly work on bringing more explicit modules, thereby expanding the functionality and versatility of Odoo ERP. The Odoo ERP thus comes very adaptable in nature and execution costs very low. 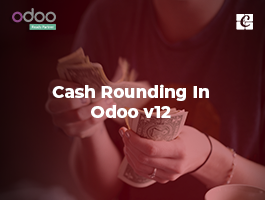 The main benefit of choosing Odoo ERP over the in-house developed ERP is that the base ERP has no license fees. In later course, the base ERP can be additionally changed or customized to suit explicit business needs. g) Options of IT sourcing. If you are looking for an Odoo ERP assistance for your business, drop your request to info@cybrosys.com. Cybrosys is an exponent in Odoo ERP since 2008 leaving behind successful footprints in all industry domains.